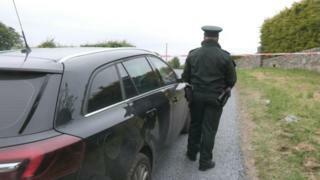 A road worker has died following an accident in County Armagh. It is believed the man, a foreign national, was crushed by a road roller while laying a new road surface on Bog Road outside Forkhill on Wednesday afternoon. Police and the Health and Safety Executive are investigating. The road is understood to be regularly used by children walking to and from a local school. The school was informed and alternative arrangements put in place on Wednesday.